← Heads Up! Majesty: The Northern Expansion & Royal Envoy 2 HD Are on Sale! Royal Envoy HD is one of those games you effortlessly recommend to other people. Sure, there are plenty of building sim/time management games out there, but the charm and polish of Royal Envoy HD is unmatched even by the best of them. Of course, the essentials are still there much like Royal Envoy HD. 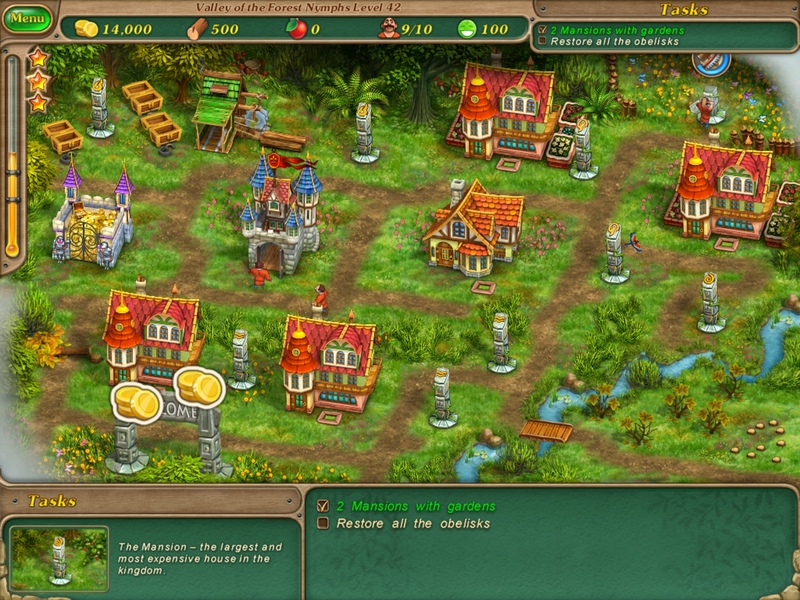 You are tasked to aid various kingdoms by helping them rebuild their homes mainly, by building houses to generate revenue, putting decorations such as fountains and statues to make people happy and accomplishing other tasks. However, while Royal Envoy HD focuses on building and generating revenue to meet level objectives, Royal Envoy 2 HD for iPad makes things a bit more fast-paced by keeping your hands busy. 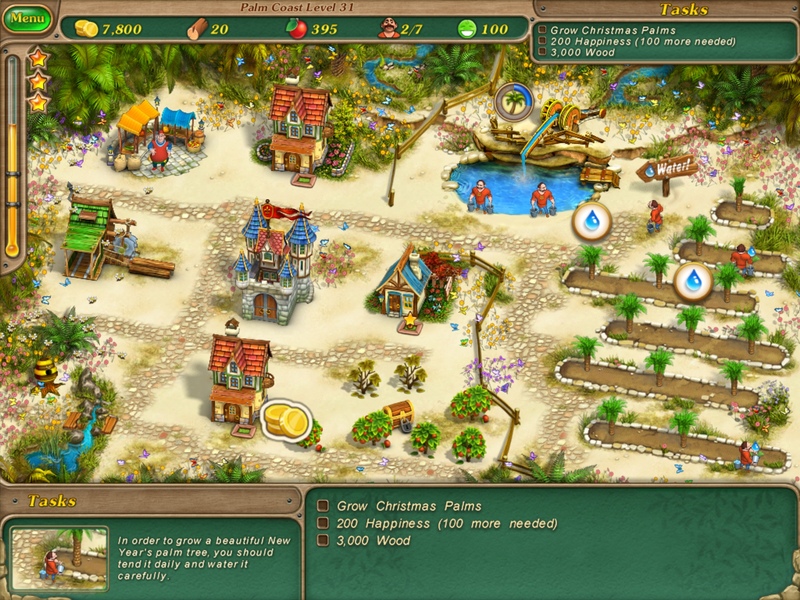 For example, in Royal Envoy HD, you just wait for resources to come in, such as wood, and for the rest, you send tax collectors to pick up gold for you from the bank. You earn extra gold by selling wood to the local market where you wait for the best price before selling. 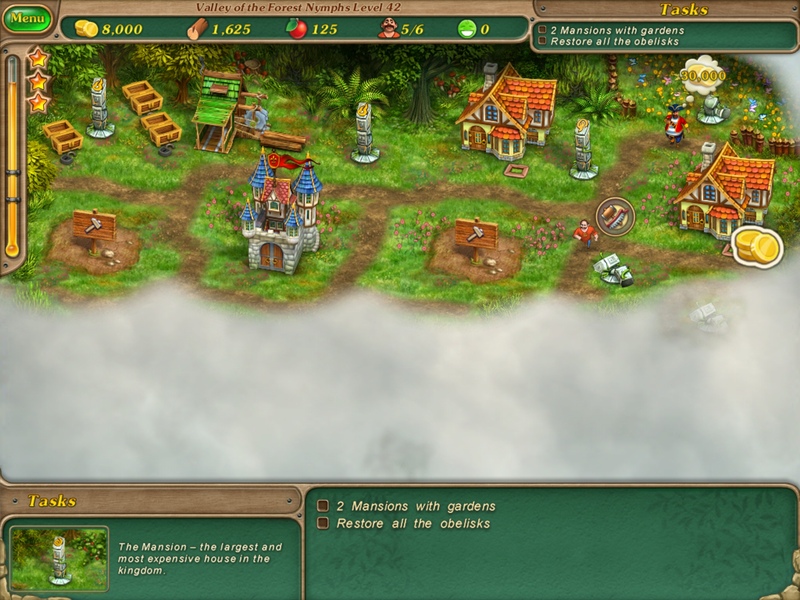 On the other hand, in Royal Envoy 2 HD (Premium) for iPad, there are no tax collectors, only workers to build and gather resources. You now have to manually tap on resources to collect – whether it's gold, food or wood. Food has also been introduced as an important resource on top of wood for building and upgrading houses, constructing buildings and decorations. Plus, aside from the greedy pirate who likes to block roads to be bribed with lots of money, you now have a glutton who is out for food. I also love the mini-games introduced in Royal Envoy 2 HD and the new quirky challenges – making sad leprechauns happy, for example, or hosting the annual snowfight which you get to play yourself. Clear up the fog to proceed! The game's art is cute and charming, as always, but for some reason, it feels like the graphics are not as sharp or clear as the original. Likewise, I find that the sound effects (such as the sad leprechaun) can get a bit irritating at times. 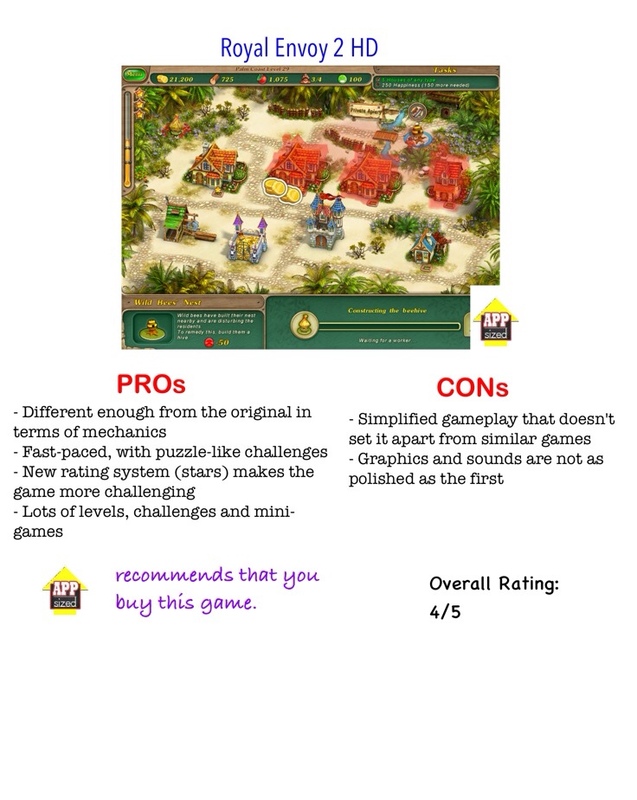 If you've played the original, the significant changes in gameplay may affect how much you will like Royal Envoy 2 HD (Premium) for iPad. A lot of the elements that made the original so good have been simplified in the sequel, which might not sit well with fans of the original. I must admit that the new mechanics took some getting used to, but once you get the hang of it, you will find it enjoyable. Like I said, coming up with a sequel is a very tricky affair, but had Royal Envoy 2 HD (Premium) for iPad adhered too closely to the original formula, then one might say that it's just repetitive. Ultimately, the changes in Royal Envoy 2 HD (Premium) for iPad make it different enough from the original that you would want to have both in your collection.